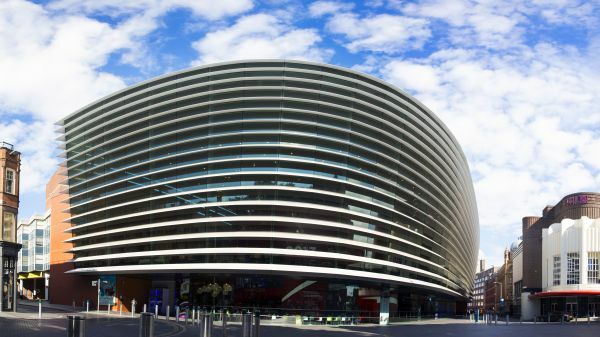 After a successful year, in which it exceeded a £10.6million turnover, Curve Theatre in Leicester has confirmed an additional 67 seats will be added to its larger auditorium during 2019, taking the seating capacity to 969. With capital grant funding from Leicester City Council of £780,000, Curve will work with theatre seating specialists Charcoal Blue to add more seats into the stalls area of the theatre. Curve’s accessibility will also be improved as five new fixed wheelchair positions will be added to the stalls area and the female toilet facilities significantly increased. The 2017/18 annual review revealed Curve has increased its average attendance by 8%, with occupancy levels reaching 77% overall. The theatre’s Made at Curve produced work and Curve on Tour productions achieved an average of 80% capacity. Chris Stafford, Chief Executive and Nikolai Foster Artistic Director said: “2017/18 was a terrific year for Curve, with all areas of the theatre firing on all cylinders, setting the tone for what we are achieving during our action-packed 10th birthday year. “We are thrilled over one million people either visited our home in Leicester or saw a Made at Curve co-production on the road. “Our ambition to create diverse, entertaining and challenging theatre for our communities in the 21st Century is always developing; none of this work would be possible without the support of our growing loyal audiences, the dedicated work of the Curve team and our principal funders, Leicester City Council and Arts Council England. Ian Squires, Chair of Leicester Theatre Trust, said: “I think this report shows what a remarkable asset we have with this theatre in Leicester – a truly national and international stage that has also developed deep roots with our local community through outreach and educational work.